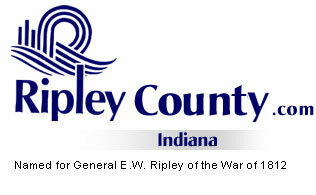 The Ripley County Council met on Tuesday, January 18th, 2005 at the Ripley County Annex in Versailles , Indiana . Donald Dunbar, Ripley County Council President called the meeting to order promptly at 7:00 PM with Council Members Dephane Smith, David Simon, William Dramann, Mark Busching, Ben Peetz and Donald Dunbar in attendance. Edward Armbrecht was not in attendance for the January meeting. Donald Dunbar, Ripley Council President welcomed two new members to the board Mark Busching & Ben Peetz. Council Member Simon made the motion to elect Don Dunbar as 2005 Council President seconded by Council Member Smith. Motion approved unanimously. Council Member Dunbar made the motion to elect Dephane Smith as President, Pro-Tem seconded by Council Member Simon. Motion approved unanimously. Council Member Smith made the motion to approve the minutes of the December 21st, 2004 meeting seconded by Council Member Simon. Motion approved by Smith, Dramann, Simon & Dunbar. Peetz & Busching abstained due to not being on the board in 2004. No additional appropriations presented for January 2005. Council Member Smith made the motion to approve the transfer of $15,000 from Physician/ Fund # 100-32330-000-014 to Part Time Nurse/Fund #100-11161-000-014 for Ripley County Jail/Bill Davison, Ripley County Sheriff. Council Member Smith made the motion to table a request from Andy Clark, Veterans Director to transfer funds from the Veterans Budget/$222.74/ 100-11700-000-054/Part Time Clerk, $247.963/100-32800-000-054 Meeting, $488.15/100-25300-000-054 Office Supplies & $523.24 100-34800-000-054 Travel to Ripley County Veterans Fund #597 seconded by Council Member Busching. Motion approved unanimously. Katherine Taul, Ripley County Tourism Director presented the 2005 Working Advertising Budget for the Ripley County Tourism Bureau. Council Member Smith made the motion to approve the 2005 Tourism Budget seconded by Council Member Dramann. Motion approved unanimously. Vernon & Sharon Wheeler, 4775 E Prattsburg Rd , Milan , In. presented concerns about their road to the council members & Commissioners. President Dunbar advised that the county road problems should be taken to the commissioner meeting. Council Member Smith made the motion to approve the amended Salary Ordinance for the Ripley County EMS seconded by Council Member Peetz. Motion approved by (5) five members: Smith, Peetz, Busching, Simon & Dunbar. Council Member Dramann voted no. Council Member Busching made the motion to table the ordinance (Establishing The Juvenile Information Exchange Website Fund) for the Ripley County Probation Department until the next meeting (until more information is received) seconded by Council Member Dramann. Motion approved unanimously. Bill Davison, Ripley County Sheriff presented the council members with a 6 months report on the Jail Commissary Fund and advised as of December 31st, 2004 the Fund has a balance of $47,821.92. Council President, Dunbar presented the Rainy Day Ordinance to the council members, after no motion from the floor President Dunbar advised that they would leave the Rainy Day Ordinance as it is presently. Council Member Simon made the motion to appoint Council Member, Mark Busching to the Economic Development Board seconded by Council Member Dramann. Motion approved unanimously. Council Member Smith made the motion to appoint Council Member, Dephane Smith to the E911 board seconded by Council Member Dramann. Motion approved unanimously. Tad Brinson, Area Planning Commission Director asked that the council re-appoint Owen Menchhofer to the Area Planning Commission Board for 2005. Council Member Dramann made the motion to re-appoint Menchhofer to the Planning Commission seconded by Council Member Smith. Motion approved unanimously. Solid Waste District – Donald Dunbar – Meeting Thursday, January 23rd, 2005. Council Member Simon made a motion to adjourn until the next regular meeting on Tuesday, February 15th, 2005 seconded by Council Member Dramann. Motion approved unanimously.